SMARTSQUARE is an exciting, high tech sound absorbent temporary flooring system which gives you quieter exam rooms. Schools, universities and other learning institutions can significantly improve acoustics in exam rooms, instantly and affordably, with SMARTSQUARE’s noise reduction tiles. Installing SMARTSQUARE is easy – it’s an uncomplicated loose lay. The average room takes about half an hour to lay, and is even quicker to remove. SMARTSQUARE temporary acoustic tiles minimise and block both impact and airborne noise and after the exam period SMARTSQUARE is speedily removed, returning your room back to its normal use. SMARTSQUARE’s ingenious, technologically advanced noise reducing floor covering is made from heavy duty polypropylene, with an impervious polyolefin backing. These hardwearing fibres absorb sound and reduce noise levels in exam rooms. Perfect for noise reduction, SMARTSQUARE is also a very safe floor covering. There’s no bunching or tripping over – SMARTSQUARE gives you a solid, flat, level floor. SMARTSQUARE was originally developed in Europe to protect exotic wooden and marble floors without damaging them. Today, SMARTSQUARE is being used to quieten temporary exam rooms around the globe. SMARTSQUARE can be customised to fit any exam room floor shape. Even irregular areas can be covered. And you can also easily replace any portion of SMARTSQUARE flooring if you ever need to. Simple and compact to store, SMARTSQUARE is stacked on special trolleys for easy packing and unpacking. Good looking SMARTSQUARE comes in four contemporary colours. You can choose a solid single colour, add a second colour or go for a subtle patterned mix, combining up to all four colours. As they’re in the same colour family, SMARTSQUARE colours work together beautifully and look very stylish and fashionable. Used short or long-term, SMARTSQUARE is economical. SMARTSQUARE is produced in a cost effective, environmentally friendly way, making it a very affordable, environmentally sustainable product for you to use on your exam room floors. 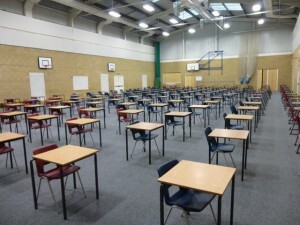 If you are looking for a quiet, temporary exam flooring solution that’s also inexpensive for your school, university, community centre or business, you need to see SMARTSQUARE for yourself, today! 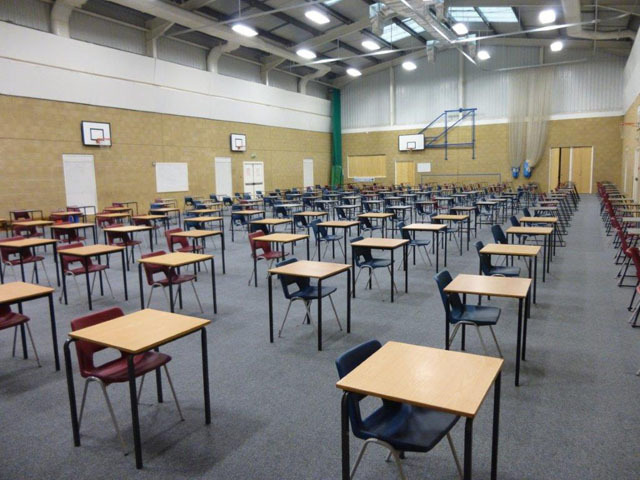 From country schools to busy universities, SMARTSQUARE is the world’s leading temporary exam flooring.